Mecha War is now available for iPhone, iPod touch and iPad! And the BIG news: we're making the game 100% free! No in-app purchases, no limitations! Play as much as you want, whenever you want - without ever spending money. Because we listened to you and a lot of our players wanted to get more and more free content. So... why not? 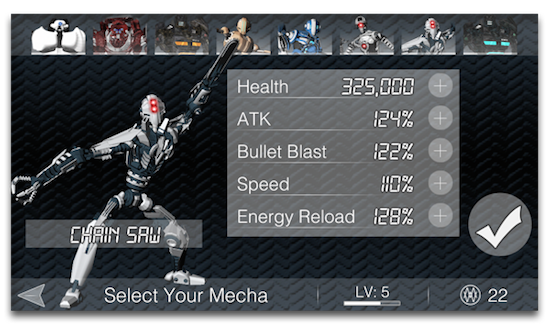 Get Mecha War now for your iOS device! Time to engage with your friends! With Beyond Fighting 2 for Tango you can play and challenge your friends who are using the Tango messaging app. Compare your game progress with your friends, send brag messages and invite new friends to join the game! Beyond Fighting 2 for Tango offers the full fighting action known from Beyond Fighting 2 and at the same time let's you engage with your friends! Send free messages right to your friends from within the game, compare your game progress with them and invite new friends! Not a problem! Play as a guest or download the Tango app today for free! Learn more about Tango here! Beyond Fighting 2 for Tango is available now for iOS! Get the new updates now as a free download for iOS and Android! Great news iOS fans! Beyond Fighting 2 - Undead Warriors is now available for iOS! Get the thrilling, zombie fighting action for your iPhone, iPad or iPod touch! 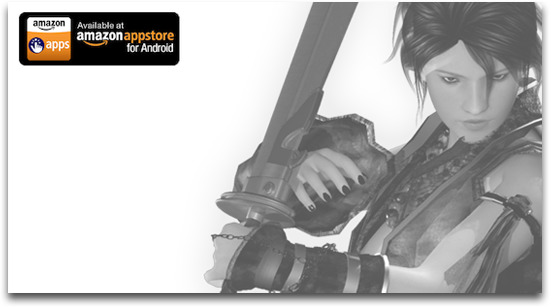 Download Beyond Fighting 2 - Undead Warriors now on the Apple App Store for free and fight for the throne of the undead! Get ready for the undead: Beyond Fighting 2: Undead Edition hits Google Play! This special edition features the full fighting action from Beyond Fighting 2 paired with zombies. Beyond Fighting 2: Undead Edition is now available for download on Google Play! iOS and Amazon App Store for Android coming soon. This is the first time ever we launch a game on Android before iOS. Head over to beyond-fighting.com or download the game now on Google Play! 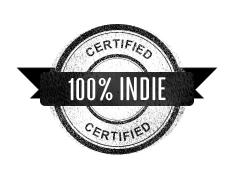 We are proud to announce that Beyond Fighting 2 has been approved by 100% Indie and is now 100% Indie certified! In addition, Beyond Fighting 2 is now also available for download on Samsung Apps! Beyond Fighting 2 is now available on the Amazon App Store for Android! Head over to Amazon and download the game for your Kindle Fire or other Android device! SuperGameDroid.com: "You guys really outdid yourself!" Read their entire article on Beyond Fighting 2 below! 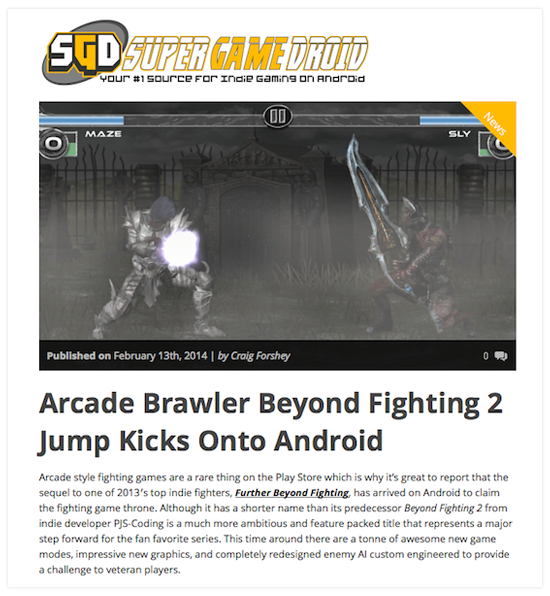 Thanks SuperGameDroid.com for this great article about Beyond Fighting 2 for Android! In their recent article, Super Game Droid writes Beyond Fighting 2 is "sure to be a favorite of fighting game aficionados everywhere" with "a tonne of awesome new game modes" and "impressive new graphics". Head over to SuperGameDroid.com to read their entire article on Beyond Fighting 2. Beyond Fighting 2 for Android is here! Download the free app now from Google Play and get the full fighting action right onto your Android device! Just like we did with the iOS launch, the premium upgrade on Android will be available for only 0.99$ until Feb 19 (included). This is 75% off! Beyond Fighting 2 is now available on Google Play and will launch on the Amazon App Store for Android soon. Get ready Android fans: Good news! Beyond Fighting 2 will launch on Android today! Only a few hours left until you can download Beyond Fighting 2 from Google Play onto your Android device! Update 1.0.2 is here! And it brings two great, new features: async online multiplayer and external game controller support! Challenge other players, compete for prizes and participate in weekly tournaments! 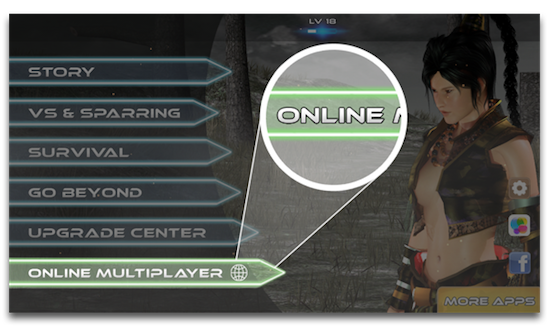 The new asynchronous online multiplayer allows you to compete directly with other players. Start a new match, accept a challenge or ask for a rematch! When playing online, you're automatically participating in weekly tournaments, to determine the best fighters at the end of each week! Use your external game controller for iOS 7 for an all new gaming experience! This provides a more comfortable way of playing the game, as well as more precise control when mirroring your iOS device onto an HD TV with Apple TV. Download the Beyond Fighting 2 update now for free! 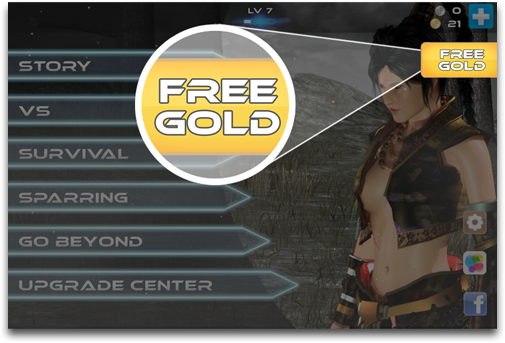 You can now earn FREE gold by watching short video ads in Beyond Fighting 2. Simply touch the 'Free Gold' button on the main menu or in our in-game shop and you'll be rewarded free gold. Never again, you'll have to say: "Come on! I just need one gold coin more!" Just watch a short video ad and use the earned gold to unlock more premium content like weapons, characters or skill upgrades. Save 75% when upgrading to the premium version of Beyond Fighting 2 until January 14th! Don't miss this great chance, as the premium upgrade directly unlocks the full version of the game. 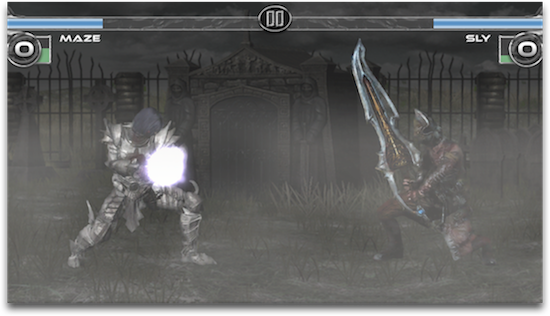 This includes 10 characters, as well as one weapon per character. Plus: once upgraded to premium all remaining content can be unlocked playing! Pay ONCE and get EVERYTHING! Premium VS Freemium is our solution for all gamers who don't like free-to-play games. Learn more here. 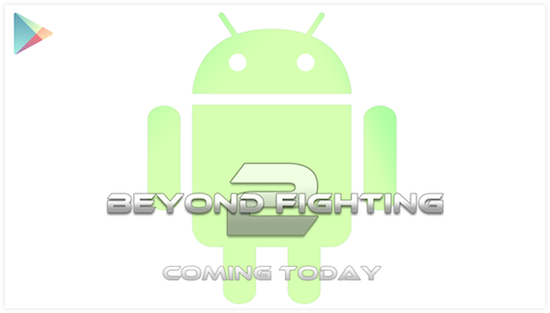 Beyond Fighting 2, the long awaited sequel to Further Beyond Fighting, will be available on the Apple App Store on January 8th 2014! Visit beyond-fighting.com for more details! To stay tuned for all news on Beyond Fighting 2 follow us on Facebook or join our mailing list below. iPhone, iPod touch & iPad are trademarks of Apple Inc.